I’ll admit, I didn’t know Notorious Games’ sandbox MMORPG Xsyon had gone free-to-play. (It did nearly two years ago.) Heck, I don’t even know how it’s pronounced. Zi-son? Sy-on? Nevertheless, the post-apocalyptic sandbox does have a free-to-play option, and today they expanded free players’ options by giving them the opportunity to fully participate in two of the game’s most community-oriented options. 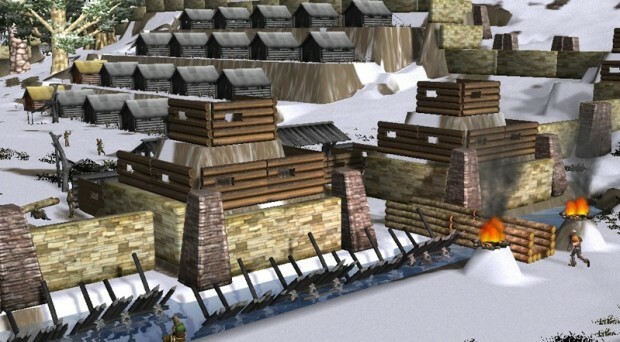 Free players can now form a tribe and start their own homesteads, which “represent the core of the game as players have molded the land and constructed impressive and creative towns, tree houses, fortresses and monuments.” It makes sense, not to hide away the “core” of your game, or at least a sampling of it, behind a paywall. Otherwise, how else will people know they want to pay to fully experience the game? It’s also a little amusing how Xyson announcing that it would make housing available for free players comes in the wake of a higher-profile sandbox game coming under fire for its housing woes, which include the fact that free players can’t build houses — you know, that “core of the game” we suggested you shouldn’t hide behind a paywall. Xsyon probably didn’t put all this together in the last month since ArcheAge’s launch, but it’s tempting to think that way. p2p mmos will just die sooner or later. and i agree with you guys lol. WTF? Star Wars TOR has a HUGE population and is insanely profitable. Meh, don’t think anyone cares about some little game no one even knows exist.